Get serious about quitting smoking with this customizable plan. Fill in the dates of start of plan. Click on the "Print this" option above for a printable version of this form. 1-Start walking thirty minutes every day, no excuses, every day. Start this __________________. 3-On ____, (Day 31: two days before you plan to stop smoking, take 1 Wellbutrin (bupropion). Next two days, take 1 Wellbutrin each morning. 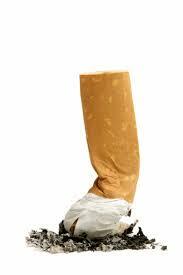 4-Apply your nicotine transdermal patch system on Day 33 (this is your stop smoking day). Place one patch on your arm, chest, or thigh (replace daily). 5-On subsequent days, take Wellbutrin each morning and each evening. Most folks wean off Wellbutrin between days 90 and 180. Continue walking thirty (to forty-five) minutes each day; feel free to drink as much coffee or water as you wish. 6-Make a chart of your daily activities. 7-Phone or e-mail your support person daily to discuss your progress. 8-Begin weightlifting on Day 37 (___, or earlier). Do not increase your physical activities by more than 10 percent a week. 9-Decrease dose of nicotine in patch every 2 months (you can cut patches in half) until no longer needed.